Very few artists of the twentieth century have so successfully achieved a balance between the extremes of Classicism and Modernism, as did Albert Wein. His sound foundation of academic excellence provided the basis for the stylized, modernistic approach that set him apart from his contemporaries. Wein had a period in the 1960’s when he made a very successful and dynamic transition to abstract and what could almost be termed minimalist form. He put his talent to various types of marble and stone and in our example terracotta. 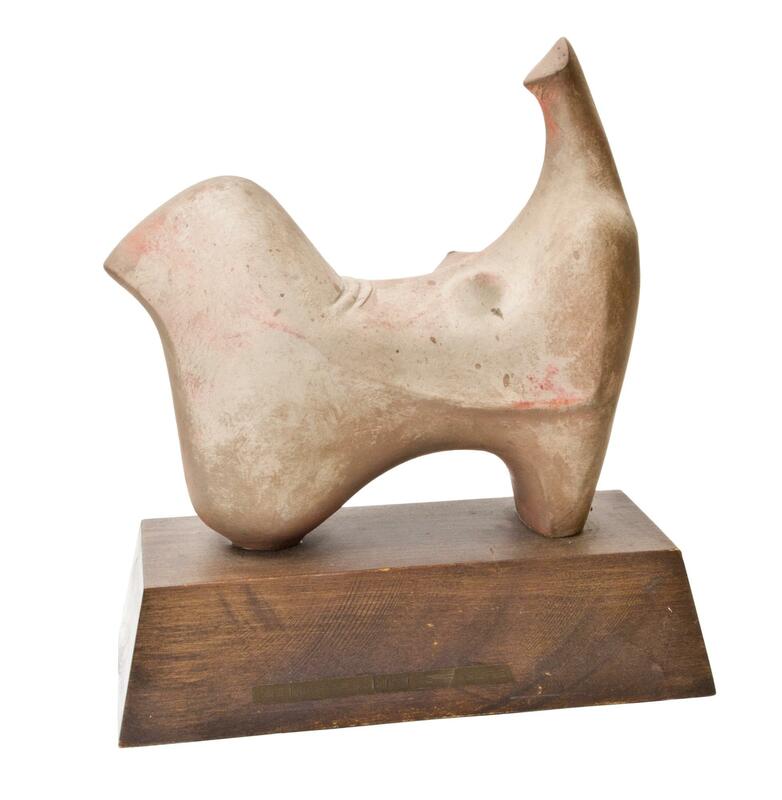 Wein carved very well conceived and powerful forms that rival that of Jean Arp or Henry Moore. Wein was too much of a traditionalist to let go of content so most of his abstract forms are symbolic of an idea, allegory, emotion or act. 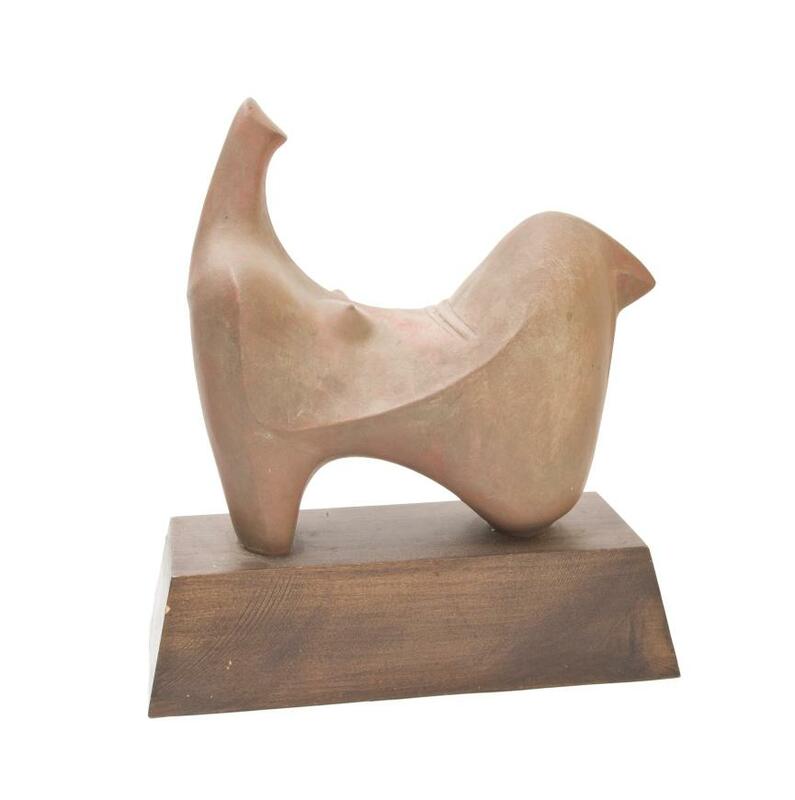 Our sculpture definitely retains the essence of a human form. Even when Wein moved into abstraction, he never abandoned the idea of having strong and clear content behind his work. Wein felt that "every good work of art is a good abstract composition" or could at least be represented by one. That the subject, devoid of details, and pared down to only what is necessary to convey the "essence" of the composition is what really mattered in a truly great work of art.